Access Control - exit loops, keypad, etc. Wharton County and surrounding areas. 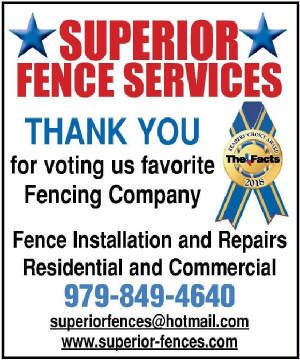 Superior Fence Services is committed to providing total satisfaction to our customers. Our goal is to provide our customers the highest quality materials available with professional workmanship. You will have peace of mind knowing your fence will be installed with a combination of strength, durability and beauty. Our quality makes the difference. Superior Fence Services specializes in fence installation and repairs for residential and commercial jobs. We offer a variety of fences including but not limited to the following; Wood Fences, Cedar Fence, Privacy Fence, Chain Link Fencing, Black Vinyl Chain Link Fence, Ornamental Fence, Vinyl Fence and Ranch Rail Fences. Full line of fence supplies available for do-it-yourself projects. In addition, we build Custom Gates and install Solar or Electric Gate Operators. Call 979-849-4640 for your "Free" estimate or send us an email on the "Contact Us" page. 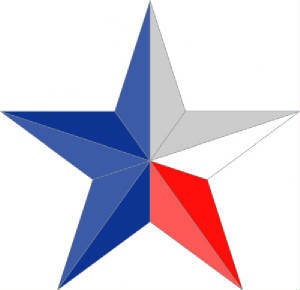 We proudly serve Brazoria County, Matagorda County, Fort Bend County, Galveston County; includes Angleton, Baileys Prairie, Lake Jackson, Freeport, Brazoria, Clute, Columbia Lakes, Danbury, Richwood, West Columbia, Sweeny, Manvel, Rosharon, Iowa Colony, Bay City, Matagorda, Alvin, Pearland, Webster, Friendswood, Clear Lake , Richmond, Rosenberg, Wharton and all surrounding areas, give us a call! Providing good service means taking the time to listen. Our staff will work with you every step of the way to make sure you receive the service you want. Superior Fence Service is client-oriented, we are here to serve you and know you will be impressed! Our superior team maintains consistent standards, offers outstanding service at affordable prices and warranties our workmanship. Call us to discuss your fence or gate project. You will find more information on this site about our company, our products and services in order to make the right decision to choose us. Superior Fence Services is looking forward to working with you. FILL OUT A "FREE ESTIMATE" REQUEST ON THE "CONTACT US" PAGE. 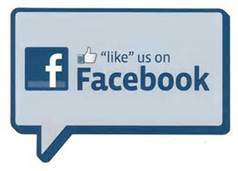 Click here go visit our FACEBOOK page, be sure and "LIKE" it. Thank you! Request a Free Fence Estimate Today - fill in Form on "Contact Us" page and send! Detail description of the type of fence, height of fence, approximate footage. Indicate the number of gates and the sizes. Go to the "Contact Us" page and enter the items listed above. Ask us about financing your fence project. We offer financing options with a competitive project price.